This is a great spot for those who like to get away from the bustle of city life, relax in the countryside, swim and fish. 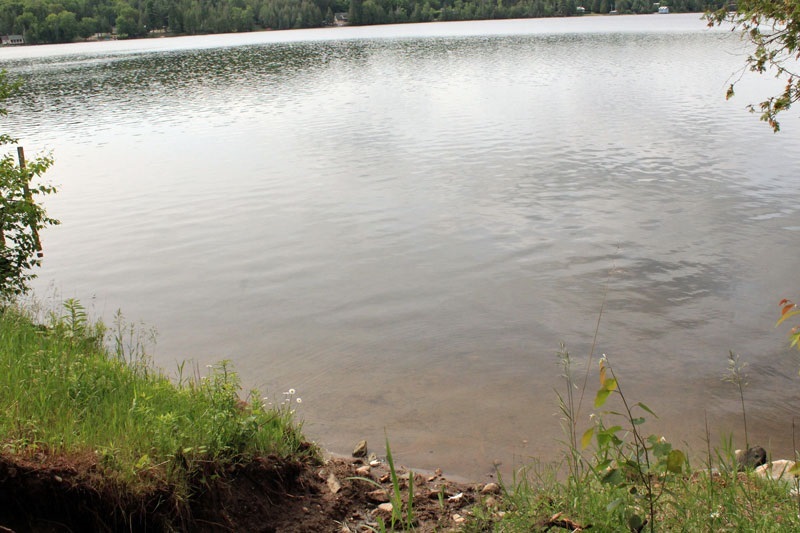 Although Gunter Lake is off the beaten path, it’s got a lot to offer for a tranquil vacation at any time of the year. 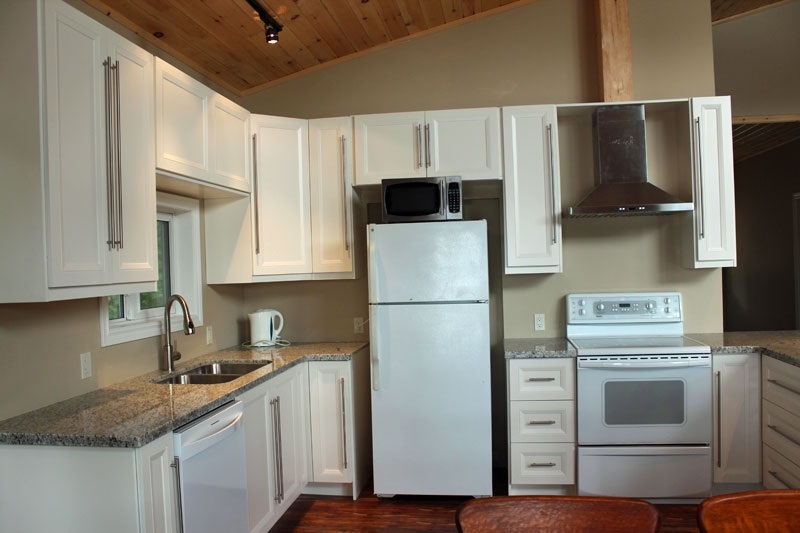 And newly built Gunter Retreat is a great place to stay. 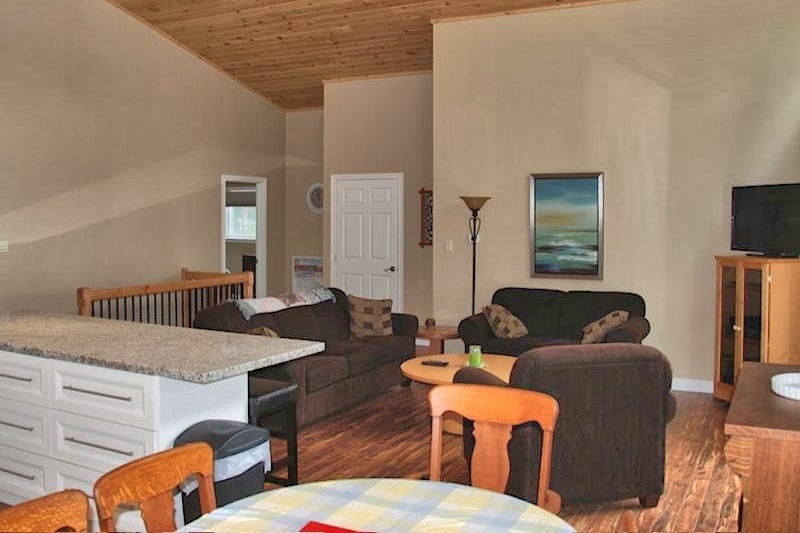 Built in 2014, this spacious cottage has everything you need to enjoy your holiday. 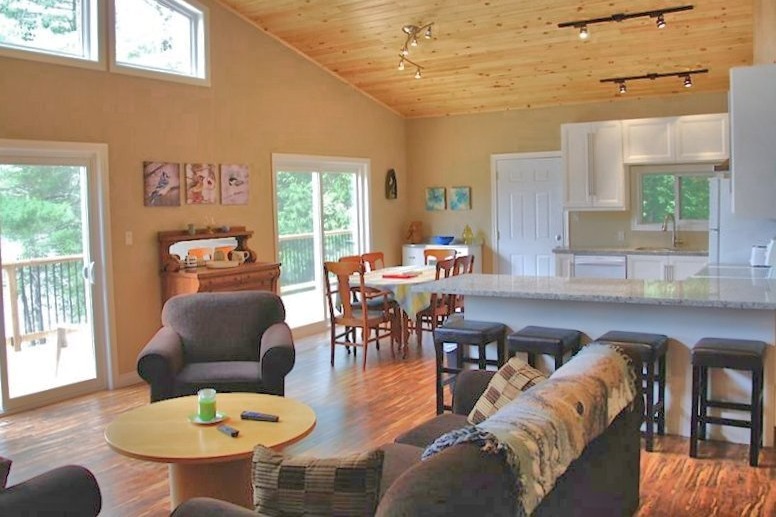 A large open plan living, kitchen and dining area with bar stools lining the breakfast bar, it will comfortably accommodate a larger family or two families vacationing together. 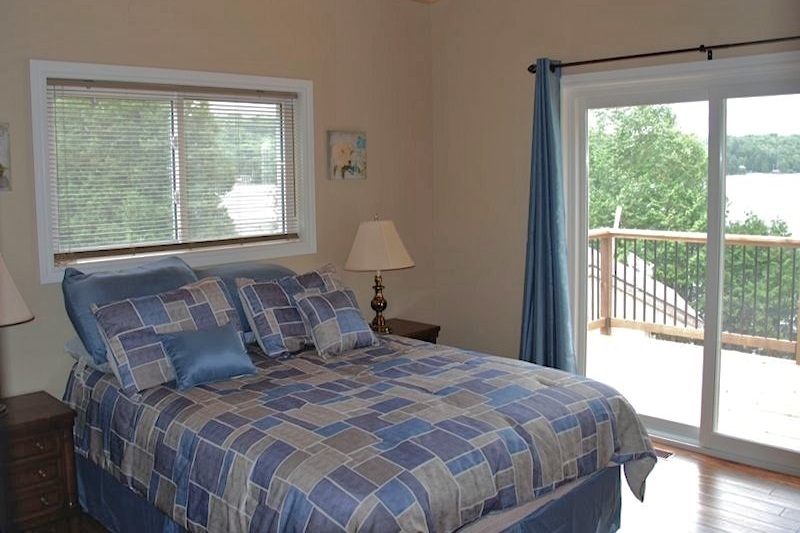 The screened sunroom off the dining area has a patio table and chairs for enjoying the outside while being protected from the occasional bug at dawn and dusk, and the large deck is big enough to lay back and take in the sun or eat outside when the mood takes you. 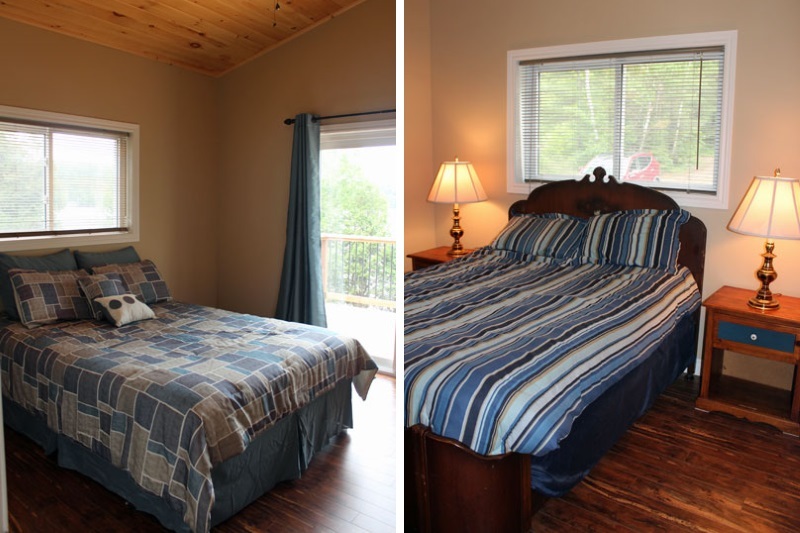 To one side of the house, the master bedroom has sliding doors to the deck and an ensuite bathroom with a second bedroom opposite. 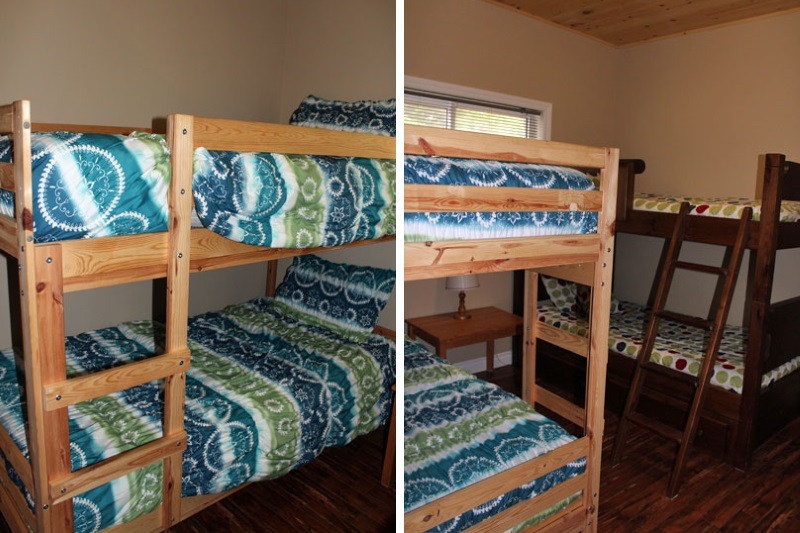 To the other side are the third bedroom and bunk room with another bathroom. Stacking washer and dryer in a closet space provides the laundry service we all want on vacation. 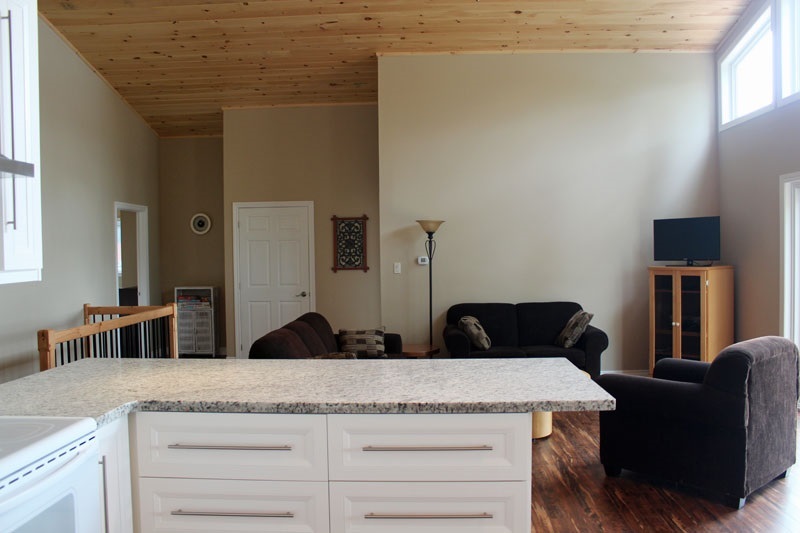 The lower level is an unfinished basement games room complete with pool table, foosball, dart board, children's craft table as well as a games table & chairs and an assortment of board games! 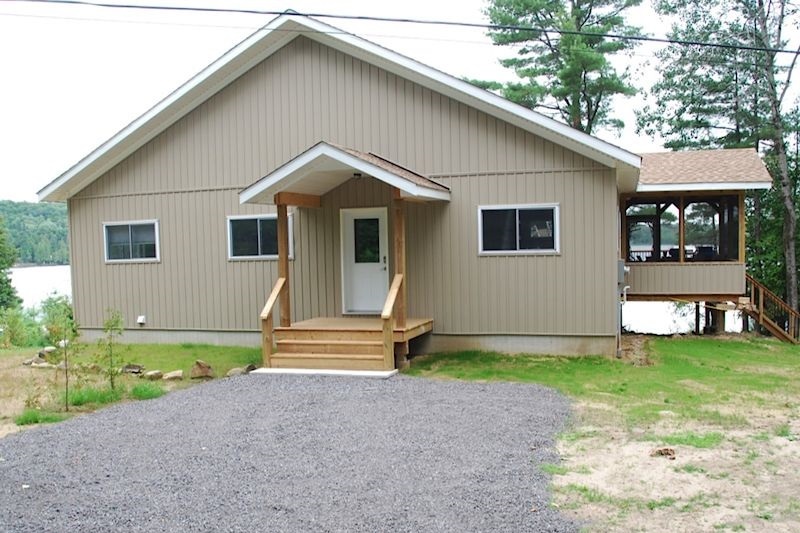 It is accessible for getting out onto the waterfront side of the house, where you will find lawned garden and access to the water. 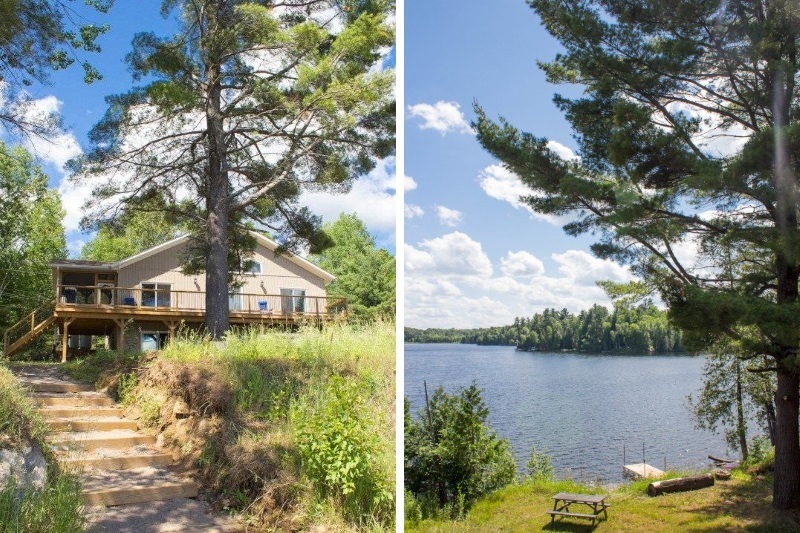 The stepped approach to the lake brings you down to a sandy waterfront that is shallow with hard sand underfoot. The water deepens gradually. 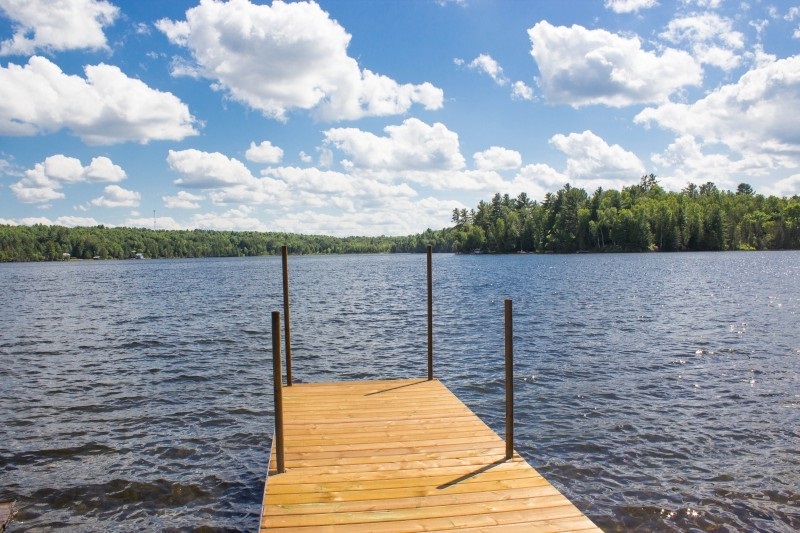 You can fish right off the dock or swim platform or take out the canoe or kayaks for a paddle. This is a great area for exploring. 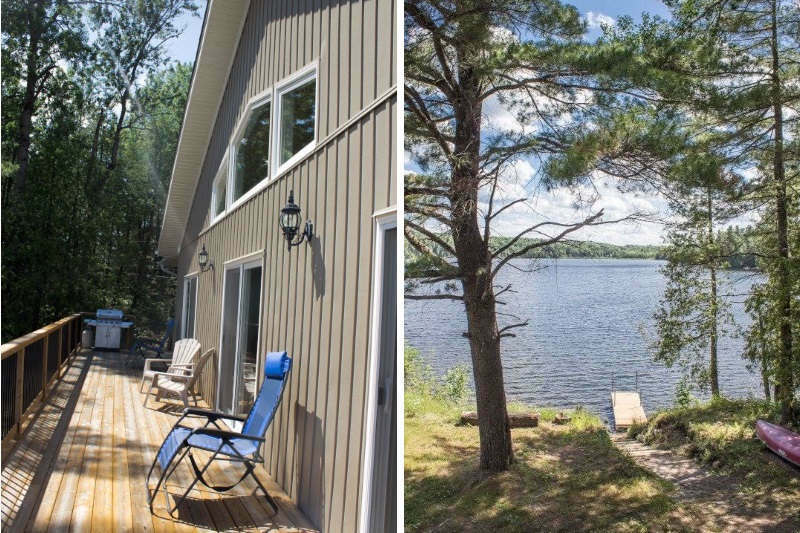 Bancroft is just 35 minutes to the north for supermarkets, craft shops and restaurants, or take a meandering country road to Egan Chute Provincail Park and picnic by the Falls. 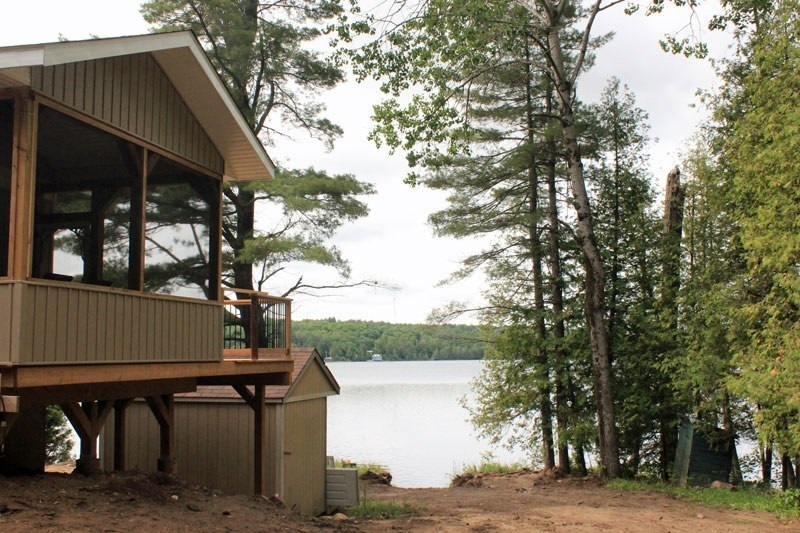 To the west is Coe Hill, Chandos Lake and a little further onto Silent Lake Provincial Park. 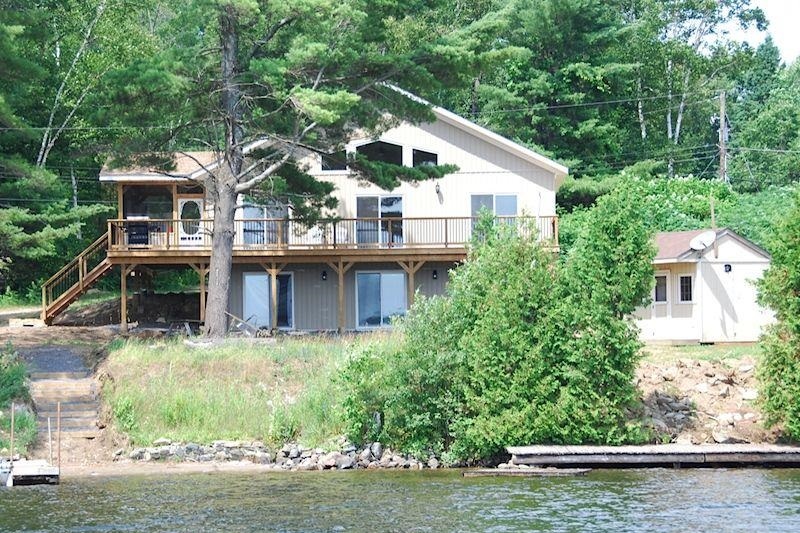 You might find that the best time is at the cottage; swimming, fishing and just having a completely relaxing time. 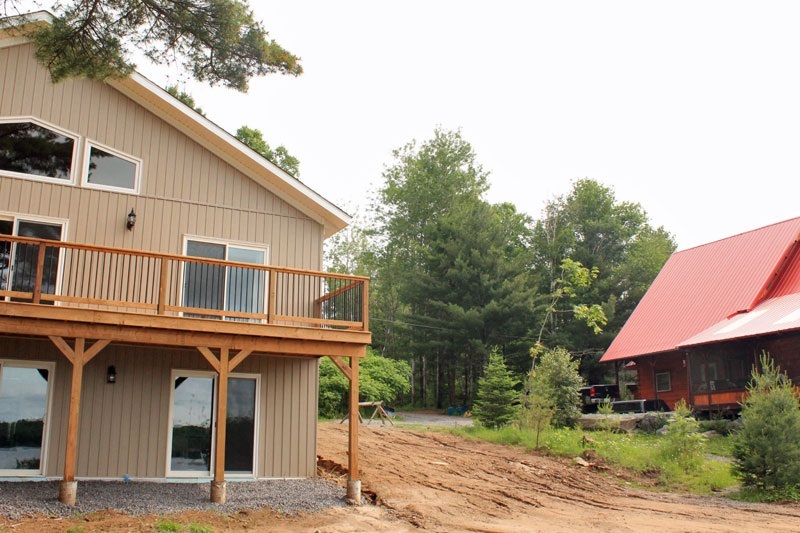 There is a large cottage visible to one side - complete privacy on other. Waterfront is a southern exposure. 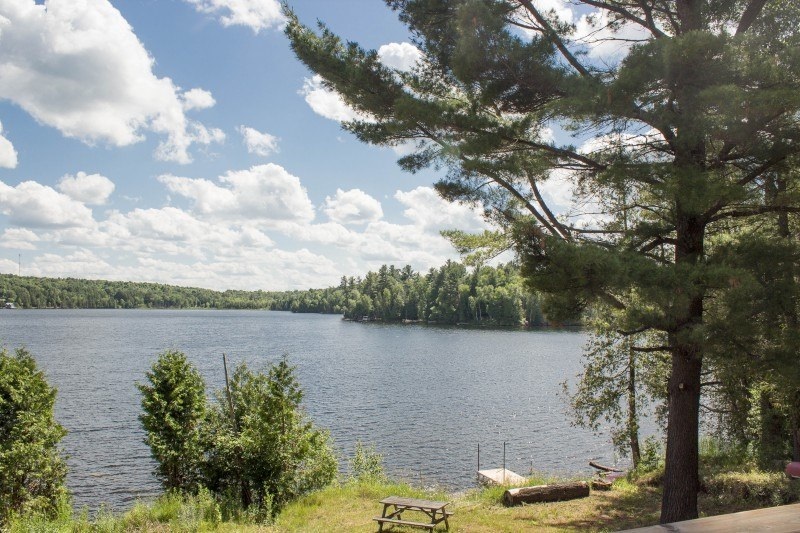 There is grass to the shoreline where there is a narrow stretch of gravelly sand and a hard packed sandy and shallow walkout into the lake. There is a dock and the water deepens towards the end of it.